Greg, we have the green light to review this next movie. So, let’s open the Green Book and find a place to stay and recap. The year is 1962 and we meet Tony “Lip” Vallelonga (Viggo Mortensen), a bouncer working at a New York night club. He needs a job while his night club is being renovated, and so he answers an ad for a driver for Dr. Shirley (Mahershala Ali), an African-American musician whose home and office are perched right above Carnegie Hall. Tony’s informal, uncouth style clashes with Dr. Shirley’s polished, educated manner. But Dr. Shirley hires Tony due to Tony’s known ability to handle difficult situations, which are bound to occur on the planned road trip into the deep south. The two begin their trip with Tony at the wheel and Dr. Shirley in the back. They listen to the radio and Tony instructs Dr. Shirley on the popular music by black artists. At Dr. Shirley’s first concert, Tony is amazed at the music Dr. Shirley and his accompanying two musicians deliver. But things quickly deteriorate as they drive deeper into the south. Dr. Shirley is forced to stay in dilapidated hotels that are ‘colored friendly’ while Tony stays uptown. Dr. Shirley and Tony are soon introduced to the ways of southern ‘hospitality’ when the museum stumbles into a bar and is beaten by the locals. Tony rescues Dr. Shirley… and it isn’t the last time Tony has to come to the rescue. 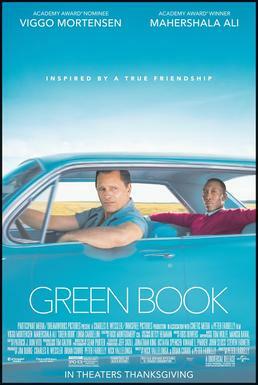 Greg, Green Book is a modern-day Huckleberry Finn, a journey into the deep South undertaken by two people, one black and one white. These two are total opposites reminiscent of The Odd Couple. Dr. Shirley is Felix Unger, refined and fastidious, whereas Tony Lip is Oscar Madison, uncultured and uncouth. The two are sent on a journey of assimilation, each becoming more tolerant of the other and also becoming somewhat more like the other. Tony teaches Dr. Shirley to chill out, to try less formal foods, and to become comfortable hangin’ with people of the lower strata. Moreover, Dr. Shirley instructs Tony how to use better diction, write more heartfelt letters home to his wife, and behave more civilly. Most importantly, Dr. Shirley is able to eliminate Tony’s racial prejudice. So this film is a story of dual heroic metamorphosis, with each buddy helping the other transform into his better, more authentic self. With help from Tony, Dr. Shirley is able to find the courage to stand up for his principles, as he walks out of his Montgomery gig to protest not being served dinner in the club’s dining room. With help from Dr. Shirley, Tony’s racial prejudice abates considerably. We’re given clues, moreover, that there may be a ripple effect as Tony now no longer tolerates racist talk from his friends and family. Recently, we reviewed Widows, a story that showcased women’s repudiation of our societal patriarchal dominance. In a similar way, Green Book conveys the same message along racial lines. There is a powerful and sobering scene in which Tony and Dr. Shirley have pulled their car to the side of the road in the rural South. They both look at the field in which African-Americans are toiling, dressed in rags, and although the year is 1962 the image is shockingly similar to 18th and 19th century America. The redemptive personal transformation of Tony Lip is a microcosm of the larger collective transformation the USA so badly needs in the year 2018. Scott, one of the fundamental tenets of good storytelling is ‘show, don’t tell.’ And Green Book exercises this axiom to the maximum. While we are watching this compelling true story of two men from completely different sides of society, we’re being shown what life was like for African Americans in the deep south of 1962. As you point out, nobody has to ‘say’ that much hadn’t changed in the south – they just showed us the contrast of Dr. Shirley being driven by a white man while black faces till the soil. Other examples of this are when Tony decides to stand outside the music hall and watch. Standing right there are a few of the ‘help’ – looking in while an audience of white faces marvel at Dr. Shirley’s talent. We’re ‘shown’ the Green Book and the low quality of the hotels Dr. Shirley is forced to stay in. Nobody has to comment on the differences in a ‘separate but equal’ society – it’s right there on-screen. This was a deftly constructed movie. If I have a concern about this film is the economy with which it is told. Tony starts the film by discarding two perfectly good drinking glasses – because a couple of black plumbers drank from them. But in the next scene, has no problem taking direction from a black man of substance. It’s a bit of a leap that a man so racially biased would so quickly have a change of mind. Like last month’s The Hate U Give, Dr. Shirley is straddling multiple worlds. As a black man he is separated from other blacks because he is so erudite. He’s not accepted by even elite whites because of his black skin. And he is not considered man enough because he is gay. This is shared in a single explosive moment when Dr. Shirley shouts at Tony: “If I’m not black enough, and I’m not white enough, and I’m not man enough – then what am I?” It’s the crux of this man’s journey. Green Book is one of the year’s best movies, a sort-of hybrid of The Odyssey and Huckleberry Finn. We see how two very different people are brought together, journey to far and dangerous lands, and help each other grow and overcome difficult circumstances. The performances here by Viggo Mortensen and Mahershala Ali are astounding and certainly deserve Oscar consideration. This film is a textbook illustration of the hero’s journey while showing us the shameful past of American race relations. I give Green Book the full 5 Reels out of 5. Our two heroes undergo a remarkable journey of transformation in the archetypal way that buddy heroes transform: Our heroes need each other and they help each other grow in meaningful, life-affirming ways. The dual mentoring that transpires is entertaining, educational, and inspiring. All of the classic elements of Joseph Campbell’s hero monomyth are on full display here: the departure to an unfamiliar world, an initiation involving hardship and growth, and the return featuring the heroes giving their gifts back to the world. It’s all wonderful to behold and deeply moving. These heroes merit the full 5 Hero points out of 5. There are also plenty of juicy archetypes. 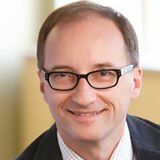 First and foremost, there is the ancient notion of human tribalism, which is the seemingly unstoppable scourge of humanity. There is also the archetype of “the Odd Couple” (messy & uncouth versus neat & refined), the racist southern cop and other racist institutions, the Italian new Yorker, the macho male, the subservient wife, and more. I give these archetypes 4 Arcs out of 5. It’s terribly difficult to construct a proper hero’s journey out of a true tale. As we saw in last month’s Bohemian Rhapsody, the results can be entertaining, but lackluster. Green Book, on the other hand, is an amazingly well-told story that puts the relationship between Tony and Dr. Shirley as the metaphor for the changes that were about to happen in America’s race relationships. All the time we’re watching this mismatched pair come to respect each other, we’re witness to the inequities of the 1960s – and perhaps more subtly – those that persist today. I give Green Book 5 out of 5 Reels. Our buddy heroes Tony and Dr. Shirley could not be further apart at the start of the film. And by the end of the film have created a bond that existed until the men died. It’s a compelling and beautifully constructed story of change and growth – not just for themselves, but for those surrounding them as well. I give these ‘change agent’ heroes 5 out of 5 Heroes. Unfortunately, there are more stereotypes than archetypes here. I give Green Book a pass as it was necessary to use shorthand stereotypes to deliver its message in the time allotted. But we see the UGLY SOUTHERNER, PLANTATION OWNER, SLAVE LABORER in full display. I give these stereo-archetypes just 3 out of 5 Arcs.